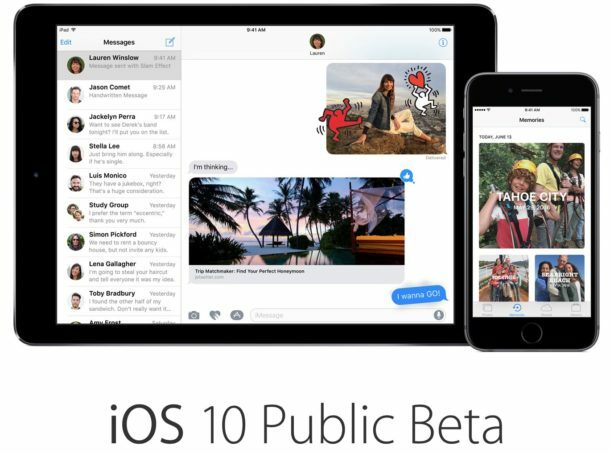 iOS 10 Public Beta is now available for any iPhone, iPad, or iPod touch user to try out and install onto their devices right away. Keeping in mind this is beta system software, the experience is buggy and much less reliable than a typical final release of iOS would be, making the beta testing participation best reserved for advanced users or at least by installing it onto a non-primary device. We’ll show you how to enroll in the iOS 10 public beta program, and how to download and install iOS 10 public beta right now. Before beginning, be sure you have an iOS 10 compatible device from this list, an Apple ID, and make a fresh backup of your iPhone or iPad before proceeding any further. The iPhone, iPad, or iPod touch will eventually reboot to complete the install and boot into the iOS 10 public beta build. All future public beta releases will be available through the Settings > Software Update function on the iOS device, making it easy to keep up to date when a new release is available. Using beta system software is not for everyone, and if you decide you no longer want to run the public beta release, you can downgrade iOS 10 beta and revert back to a stable iOS release. You’ll want to be sure you remove the iOS beta profile from the device as well so that future iOS beta builds are not made available in Software Update. 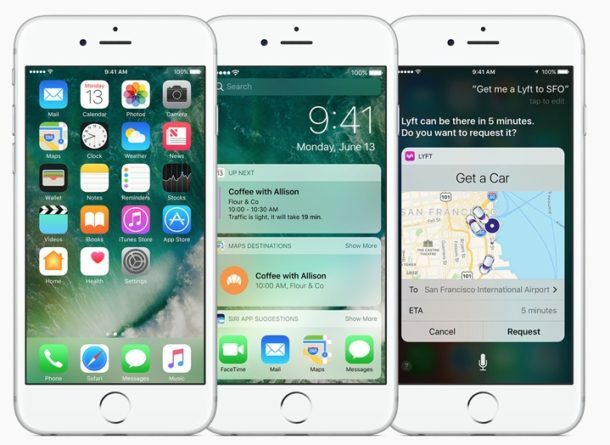 The final public version of iOS 10 is due out this fall. If you’re interested in beta system software, you may also be interested in installing macOS Sierra public beta onto a Mac as well. How about a quick tutorial for creating bootable USB for this public beta? 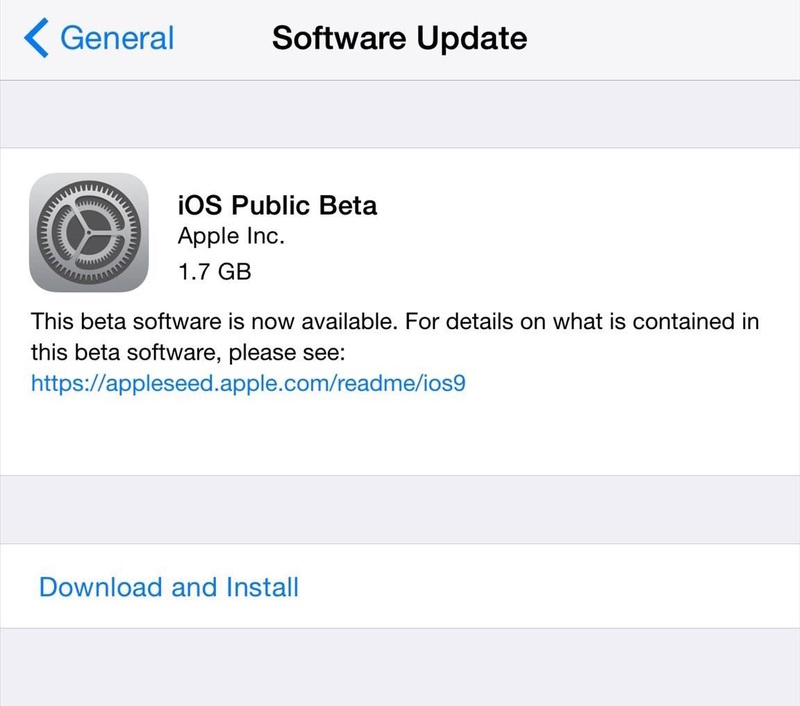 iOS 10 public beta installs through Over-the-Air update after you have enrolled the iPhone or iPad to receive updates, it does not require IPSW or any sort of USB connection to install. I tried this 100x in Chrome NEVER WORKED. . .
You bet, realized you likely meant for macOS Sierra and not iOS 10… doh! Anyway, will have one of those available shortly. Just installed it on a 5s. 1.6GB download. Build is 14A5297c, so same as dev beta 2? On first review, sending iMessages, deleting stock apps, making calls, seems stable. Don’t like the new Apple music app, deleted it and replaced it with Cesium. Happy now! The Music app has gone downhill since they started trying to ram the $10/month Apple Music service onto everyone. It’s a terrible service and the app is nothing but an advertisement now. No thanks I already spent $800 on this iPhone and a mandatory $10/month to back it up to iCroud, I really don’t want to spend more on a cruddy music service. I tossed APple Music into a folder never to be used again and replaced with Spotify, which is 10000x better than Apple Music. iOS 10 is mostly a Messages update, if you like Snapchat you will like it. If you don’t care about snaphat then it’s passable. And if you really want to annoy someone running iOS 10, send them a message saying “Happy Birthday” every few minutes, it plays a giant animation that is unavoidable and soooo annoying. Probably cool if you are 13 years old though. Battery life is worse in iOS 10 beta so far, overall performance is “meh”. No meaningful new features I can think of aside from the Messages stuff. Bullpucky. Apple Music is a great service. I’ve been using it since its inception. And why are you paying $10 a month for iCloud? I call shenanigans. $2.99 gets you 200 GB. But you don’t need to buy a plan to back up your iPhone. So clearly you are either an Android user trolling, or just really haven’t been paying attention. As a enduser i must give a hand to all you people how is doing voluntary work for Apple. Giving them all that information so they can release a great product to us with fewer bugs to a low cost. To Apple i must say. Don’t take it for granted that you can get all this testhours in the future. You can’t keep on releasing unfinished products and let consumers test it for you. It sounds good in practice for public beta of iOS and mac OS. These are basically public alpha testing, the real beta begins in the fall when they release the ‘final’ version onto tens of millions of people, which is when you start seeing point release updates to fix the widely encountered troubles. I file bug reports left and right and they’re always ignored by Apple, none of them get fixed or responded to. It’s a placebo program. @Dave… I’m surprised. I reported a few things with one of the iOS betas and got an email from someone at Apple asking me to test the latest build, which indeed fixed the issue. My experience with Apple is that they actually make an effort. I’ve had senior software engineers reach out to me and spend hours on the phone working on a TimeMachine issue I had a few years back. So far iOS 10 is very solid. I had a few issues with BlueTooth audio, and my lock screen widgets aren’t all loading, but otherwise I haven’t had any problems running it on my main phone (iPhone 6+). No one is forcing you to sign up for the public beta. And so far all these betas have been very solid. Same with OS X. People that do sign up like working with unfinished software. Kind of the way the whole open source movement is, right? Does anybody know if there’s a direct link (on the Apple servers, no piracy) to download an iOS 10 IPSW? Yes but you need developer Apple ID to use them, they are on the iOS Developer Center website. 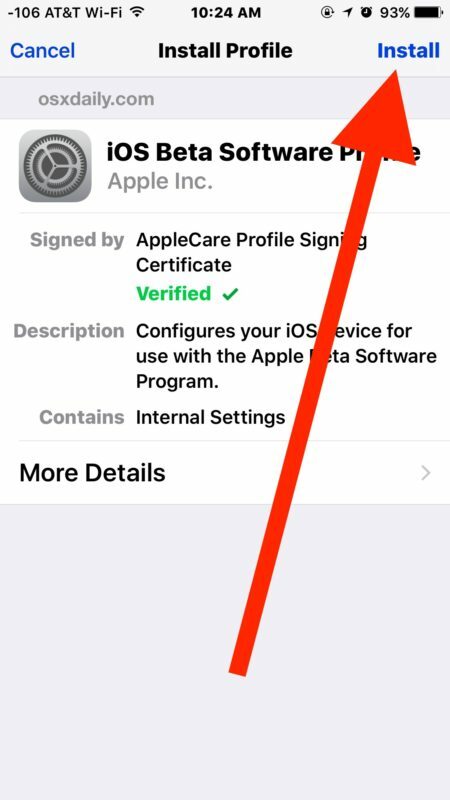 The public beta is not installed through ISPW, it is installed through beta certificates on the device. No need for IPSW for beta iOS 10. I cant get an upgrade to the public beta 1 to work on my 6s. Just get “Software Update Failed”. Tried resetting network settings and did a restore from a backup on my Mac and still no good… Anyone know how to get past this ? Same with my SE. 5S updated no problem. I did it fine on my 6. But my wife 5 just keeps saying failed. I would not recommend installing beta software onto a primary use iPhone, you will be troubleshooting it constantly. currently having the same issue of “update download failed” also on an iphone 5, rang apple support and was told i could try update via recovery mode and itunes but to no avail..has anybody found a fix for this yet?? You can fix the failed iOS 10 beta download by rebooting the iPhone and trying again. It is OK if the download fails then you do not need the iOS 10 beta, it is buggy and it is not a good idea to run on your iPhone. Wait until fall, the final version is out then, it will be more stable. No application on this device can open the file. Hmm… seems to be working now using Safari!! Cross your fingers for me!! You need to access the public beta using Safari. I finally figured it out, after trying with Chrome and getting the same messages you did. I spent over three hours yesterday alone troubleshooting my iPhone 6s after it started freezing up and crashing out of the blue, finally got it working again but I suspect most people would just end up buying a new phone under the same experience. Had to erase, restore, reconfigure everything, total disaster of an experience, all the while the phone is unusable. People abandoned Windows to avoid these type of scenarios, which are now common place on the Apple platforms. I hope iOS 10 is more stable, but I have very low expectations. Go into your settings and select “profiles”. 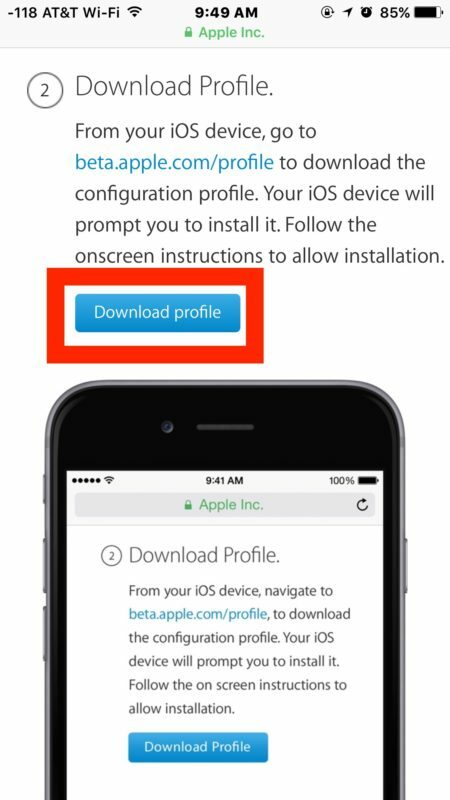 Delete the iOS 9 Beta profile. I downloaded the beta, however when I tried to install. The system tries to verify the updates for several minutes, and the messages says: Software Update Unavailable at this time. Try again later. Anyone knows why is that? This beta testing is only available for U.S.A?